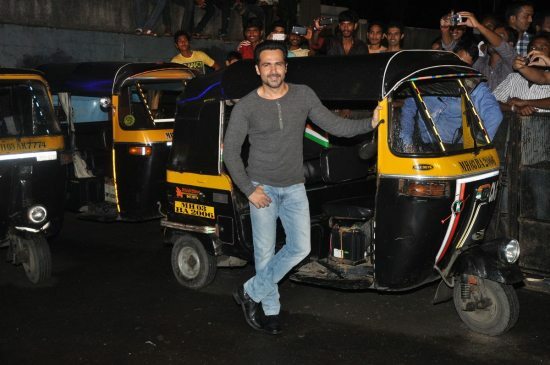 The actor holds a special screening for the rickshaw-wallahs. 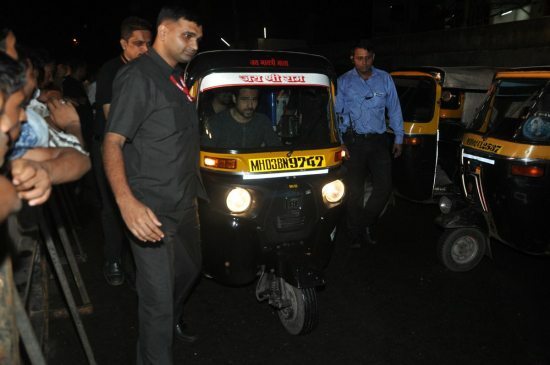 A unique promotional strategy sees Emraan Hashmi watching Raja Natwarlal with auto-drivers in Chandan Cinema, Mumbai on August 23, 2014. Raja Natwarlal is Emraan Hashmi’s latest film which is slated for release on August 29, 2014. The film marks the Bollywood debut of Pakistani actress Humaima Malik. 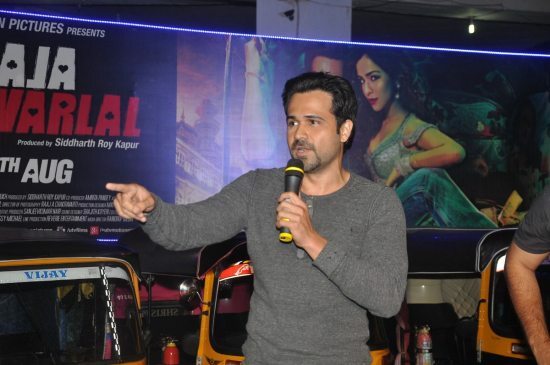 This promotional move confirms popular belief that Emraan Hashmi is the star of the masses. The movie is a crime comedy and is directed by Kunal Deshmukh and produced by UTV Motion Pictures. 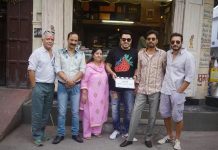 Raja Natwarlal also stars Paresh Rawal, Kay Kay Menon and Deepak Tijori. Mumbai’s rickshaw-wallahs got to watch the film a week before its worldwide release. Humaima looked gorgeous in a red pencil skirt and a crop top. 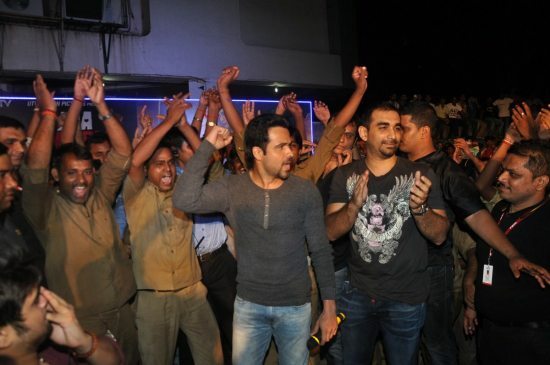 While Emraan went with a casual grey t-shirt along with denim jeans.